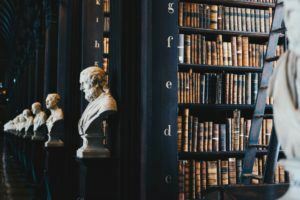 When one wants to study the Bible, more specifically the New Testament, on a more in-depth level, a person should study the language it was written in, Greek. Greek is a sovereign branch of the Indo-European family of languages. These were/are languages spoken in Europe and European settlements, also in the Southwest and Southern Asia. Greek, is one of the oldest living languages, as it has been around for over 34 centuries. The majority of the time it has used the Greek alphabet which is derived from the Phoenician alphabet. The Greek alphabet has also been the basis for many languages, and influenced Latin, Armenian and Gothic. By taking the online Greek classes presented in this article, you will be able to understand the similarities between these languages. The Greek language falls into six periods: Proto-Greek, Mycenaean Greek, Ancient Greek, Koine Greek, Medieval Greek, and Modern Greek. Koine Greek, which is also known as Hellenistic Greek, New Testament Greek and/or Biblical Greek, will be the main focus of this text. Koine Greek was a mixture of Ionian (which was a dialect of Ancient Greek) and Attic (which was the language of Athens). It started to appear during the rule of Alexander the Great, throughout his armies and territories he conquered. When the Romans had conquered Greece, Koine Greek became an unofficial language of Greece, along with Latin. The Apostles used Greek because many people spoke it to spread the word of Christianity. Also, when the Apostles wrote down the New Testament, they wrote it in Greek. This is why, if someone wants to have a deeper understanding of the New Testament, they should take online Greek classes. The Israel Institute of Biblical Studies has a partnership with the Hebrew University of Jerusalem. It offers students around the world the possibility to study the Bible and some other ancient languages. Students are able to work with teachers in the Holy Land; which also allows for the student to get a better appreciation for the people who live in the Holy Land, along with their customs. The programs that the Israel Institute of Biblical Studies offers are accredited courses and are recognized by many other universities. Their programs have also been developed by some of the leading experts in their fields, who are passionate and experienced in their chosen field of studies. One of the great aspects of taking online Greek classes through the Israel Institute of Biblical Studies is that it offers students the possibility to learn anywhere at any time, in their own language. You will receive a certificate of completion after you complete the two-course levels in Biblical Greek. The teacher and program designer of Israel Institute of Biblical Studies, is Judith Green, MA. Green received her MA in Classical Philology (Harvard University) and Classical Archaeology (University of Chicago). She is an expert in classical studies but is specialized in the Greek language, art, and archaeology. The two courses of Biblical Greek are two hours per week, nine-month programs. There are minimal assignments and the class sizes are relatively small, this way each student can engage in the course and can take away all the knowledge they need. Students are able to engage with each other in live practice sessions, which are offered through webinars. In these webinars, students can share their knowledge and are encouraged to help each other along the way. Students are also able to access the Israel Institute of Biblical Studies vast academic content, everything from their resource library to previously recorded lessons, watch other educational videos, read articles and many other resources. By the time you complete taking online Greek classes through Israel Institute of Biblical Studies, you will become able to comprehend the Greek letters and syntax. You will also be able to transcribe Biblical texts, authentically. The first course starts you at the very beginning, (this is just a general overview of the first course, there may be other materials that will be gone over or not gone over, during the course). The first two classes will explain why you should be studying Greek to understand the Bible and why it was written in Greek. It will also explain how the “ancient” languages of Latin, Greek, and Hebrew are related. You will then start the study of uncial (capital letters) and how to pronounce them, pronouns, then some of the geographical names and places that are of importance in the Bible. You will also learn in the second week the names of the Five Books of Moses, the opening of the Gospel of John and the trilingual sign of the cross. 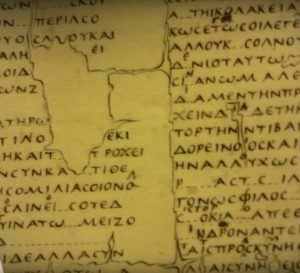 In the third week of your Greek Bible study, you will learn the minuscule alphabet (which are lower case letters), and other details that are considered standard procedure of writing the Greek alphabet. You will also learn more pronunciations of words. During the fifth, sixth and seventh weeks, you will start on the groundwork of Greek grammar. You will start by having a review of grammar and parts of speech of the English language; then, you will move on to Greek grammar. You will learn sentence structure, nouns, the principle of agreement, definite articles, case, gender number, and adjectives. While learning the adjectives, you will learn the various uses of Greek adjectives: substantive, attributive and predicate. Also, you will learn the proper way to write a sentence in Greek. Next, during the ninth, tenth and eleventh weeks, you will be learning about nouns and prepositional phrases. You will learn about the declension (or articulation) of nouns. While learning about the second declension, you will learn about masculine and neuter nouns; and when you learn about the first declension, you will learn about feminine nouns and mixed nouns. When you learn about personal pronouns, you will learn about first and second pronouns. During the thirteenth, fourteenth and fifteenth weeks, you will start to learn about verbs. In the thirteenth week, you will learn the characteristics of Greek verbs; which are, the tenses, moods, and voices. You will also learn about the conjugation forms of a verb. Next, you will learn about the verb “to be,” during the fourteenth week. Concurrently, you will learn about predicate nouns and adjectives. In the fifteenth week, you will learn about the root of verbs and the voices of speech. In week sixteen, you will have a review of articles, declension nouns/adjectives, prepositional phrases, verbs, and personal pronouns. In the seventeenth, eighteenth and nineteenth weeks, you will learn about compound verbs, demonstrative adjectives and pronouns, relative pronouns, clauses, and the third declensions. Week twenty will be a review of weeks seventeenth through nineteenth. During weeks twenty through twenty-three, you will go more in-depth with the third declension and voices, learn more about verbs (contract verbs) and imperfect tense. You will have another review during week twenty-four. Weeks twenty-five through twenty-seven, you will be learning about future tense and prepositions. Then week twenty-eight is for reviewing prepositions and future tense. You will also learn about compound verbs and how all of these items are significant in how Greek is translated. Week twenty-nine is a general review of everything you have learned. Your final week (week thirty), in the first course of Biblical Greek, will be readings from Luke to Isaiah. You will also discuss acts of healing and have a final review of basic forms. The second online Greek class is another thirty weeks (nine-month) course, (please note, once again, this is just a general overview of the course. This is subject to changes). 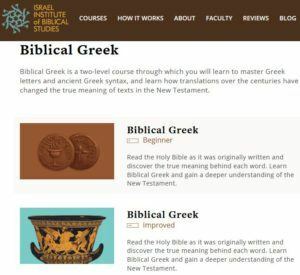 Your first, six weeks of Biblical Greek Level Two at the Israel Institute of Biblical Studies will be a review of the materials that you learned during Biblical Greek Level One. You will review: first, second and third declension nouns, definite articles, pronouns (personal, demonstrative, relative, indefinite and interrogative), verbs, tenses (imperfect and future). While working on tenses, you will also be introduced to the Aorist (or previous action) tense (the first and second forms). In the seventh week, you will learn about the syntax of infinitive; also, you will be learning about the topic of Transfiguration. In weeks nine through twelve, you will still be working on Aorist and participle. You will start with an introduction on participles, then you will learn about active and middle present participles, then the first and second Aorist and their active and middle participles. Week thirteen will be a review, along with some readings. The readings you will be doing, will be longer and have a review of some of the earlier grammar you had already learned. Weeks fourteen and fifteen, you will be studying the subjunctive mood. In week sixteen, you will learn about the perfect tense. Week eighteen will be about the passive voice and week nineteen you will learn more about verbs – the Aorist passive participle. Week twenty and the next week you will be learning about the moods, this time the imperative. Weeks twenty-two through twenty-four, you will be studying about verbs again. You will learn about Greek accent marks during weeks twenty-six and seven. Week twenty-eight you will learn about perfect participle and liquid stems. The last two weeks of your second level online Greek class will be readings: Zechariah and the Passion of Christ and then Psalm 96. During your eighteen months, two-level course program of online Greek classes, you will learn what you need to translate and appreciate the New and Old Testaments of the Bible. During these classes, you will learn Koine (or Biblical) Greek and you will receive a certificate from the Israel Institute of Biblical Study and Hebrew University of Jerusalem. Your classes will be accredited, so they will transfer to most universities.